This misfire was inspired by the 2000 Mel Gibson film named “What Women Want,” that was directed by Nancy Meyers. The helming duties are turned over to director Adam Shankman (“The Pacifier” and “The Wedding Planner”), who delivers a by-the-numbers rom com that trades on the goodwill of its predecessor. 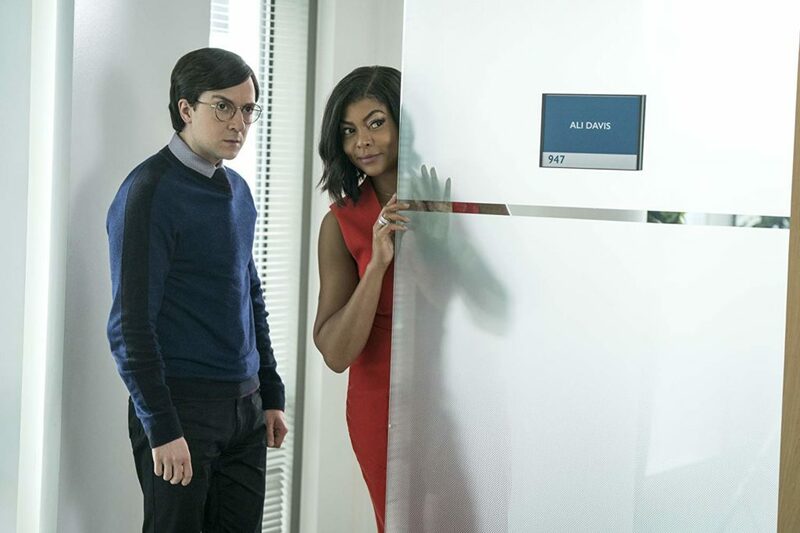 It’s boosted greatly by an all-in Taraji P. Henson performance and a hilarious supporting role by singer/actress Erykah Badu. But the saddest thing is how the rest of the cast is misused and wasted in what should have been, at worst, trashy fun in this MeToo age. 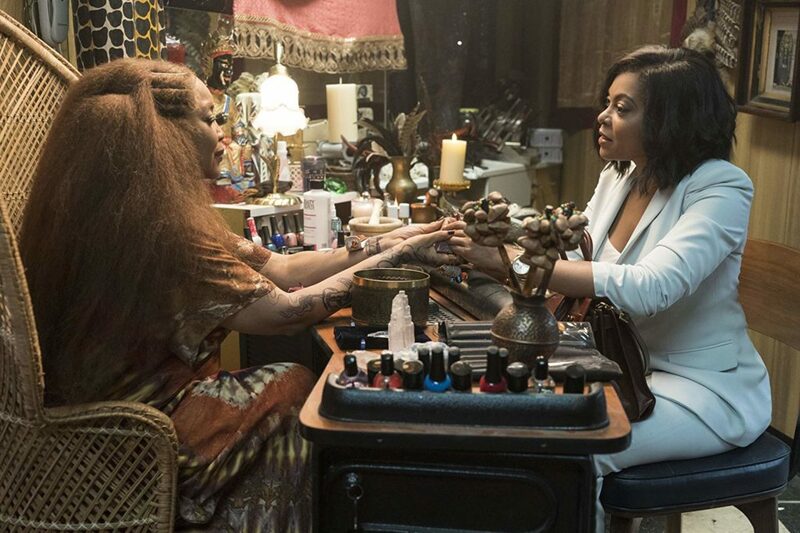 Erykah Badu steals the show as a funny medium, but this doesn’t save the film. 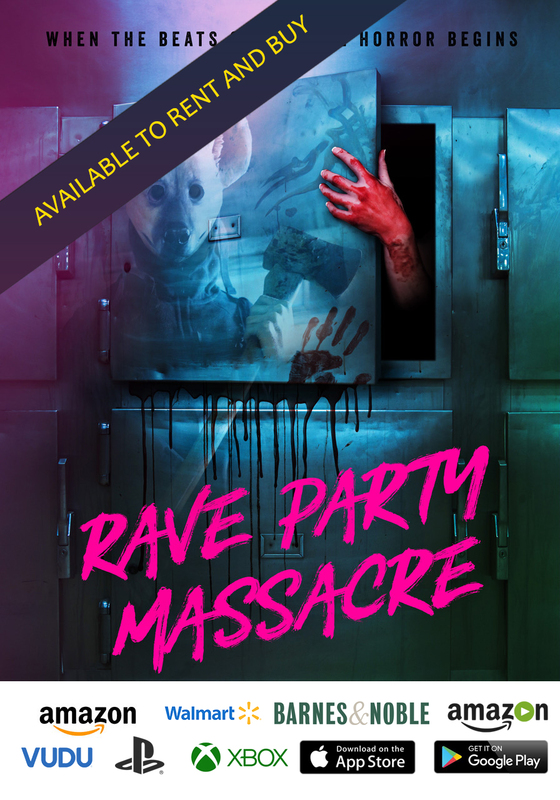 When sports agent Ali Davis (Henson) is once again passed over for partner at her firm, she has a complete meltdown. The only thing that will redeem her is to sign a hot NBA prospect. But to do this, she has to charm the prospect’s overly protective father Joe ‘Dolla’ Barry (Tracy Morgan). And after attending a hen night for a friend, where she drinks some spiked hot tea served by a strange medium named Sister (Badu), she awakes being able to read men’s minds. Shankman could have made an entire movie, possibly a good one in the “Jerry Maguire” mold, involving a sports agent trying to break the glass ceiling. 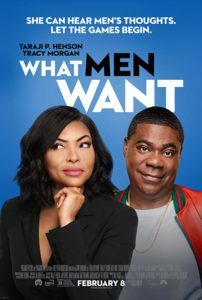 “What Men Want” is not that movie. In fact, those potentially weighty elements are so cheaply handled that they uniformly undercut the bits of humor that actually do work. And there is a gay assistant subplot that is utter cliche, almost to the point of being homophobic. One wonders if there was a script or whether these awkward scenes were improvised by SNL star Pete Davidson and “Silicon Valley” alum Josh Brener. You’ll wince instead of laugh, and that’s not a good thing. Richard Roundtree is a nice surprise in the lack-luster film. 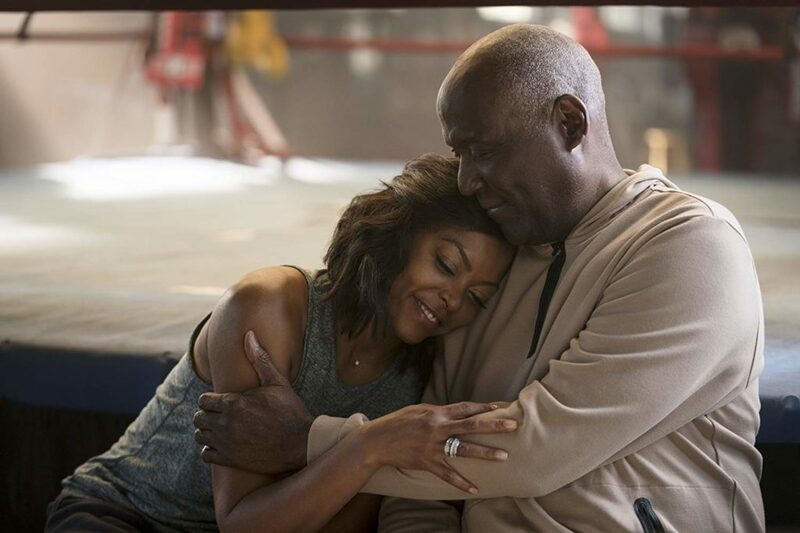 Inspired casting is found in Richard Roundtree as Ali’s father Skip. He runs a boxing gym, and obviously named his daughter after the greatest of all time. But instead of those scenes integrating fully into the goofy narrative, they seem tacked on and foreign. When Skip has to help pick up Ali’s broken life, there is never a sense that she’s really listening to her father, rather, she’s just going through the motions. Also, I couldn’t understand why the sport that was focused on was basketball. Given Skip’s gym, why not have Ali pursuing a boxer? I suppose that access to the NBA fan was a bigger market. 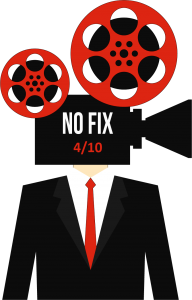 The screenplay, from three writers, is not brave enough to fully embrace any one of the promising subplots (like breaking the glass ceiling, dating someone with a small child, or exploring a relationship between a father and a daughter). The surface approach to everything in the film makes it impossible to generate any measure of pathos. This leaves just the gags that come and go with intermittent giggles. The mega-talented Henson deserves a better starring vehicle. Josh Brener is trapped in a poorly written role. But remaking a past minor hit offered the chance to also update the thematic content bringing it in line with more modern sensibilities. There too “What Men Want” fails. Look no further than the gay character played by Josh Brener. In 2019, a gay man is once again relegated to the role of assistant, a side kick on the periphery. This is really unforgivable. It’s a cheesy and insulting thing, that one would expect from something from Hollywood’s past. 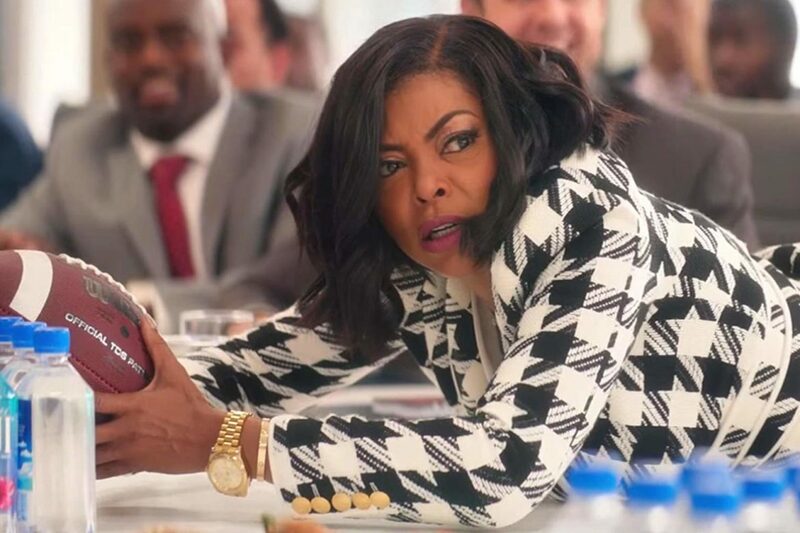 “What Men Want” is hopelessly dated. After all, when one character is asked where she found the medium, she quips, “Found her on Facebook.” Do I even need to say anything more?